One of the company's most iconic stars, Low-Ki competed in the very first aired Impact match. 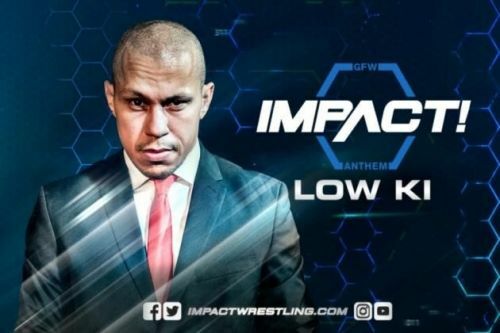 Impact Wrestling star Low-Ki has said he still wants to win the company's World Championship, after celebrating 20 years in professional wrestling. One of Impact's longest tenuring star, Low-Ki competed in the very first TNA match, in June 2002. Winning his first of five X-Division titles not long after, the Warrior is considered one of the company's top stars to not become World Champion. In December last year, Low-Ki faced Konnan at MLW, which saw members of Promociones Dorado attack the latter. Appearing on the Impact Wrestling Press Pass Podcast, the five-time X-Division Champion spoke about his tenure with Impact and how he still hopes to win the company's World Championship. "Time will tell whether that comes to fruition... in regards to me being in my position and doing it as long as I have, I'm always up for new challenges." The veteran also spoke about how he was brought back into Impact, after he was mentioned by fellow veteran Konnan. When asked about his iconic, booming voice, Low-Ki said how it's something he has worked on for several years. "I've been manipulating and managing my voice differently than I have in the past. Now with more experience especially in the realm of pro-wrestling I get to combine the two skills." The former NWA Tag Team Champion also sent a message to reigning Impact World Champion Johnny Impact, telling him to watch his back. Low-Ki will team with Ricky Martinez to face LAX at Impact's United We Stand event. United We Stand will take place April 4, at the Rahway Rec Center in Rahway, New Jersey, and will be broadcast live on FITE TV. Viewers in India can catch the action on SONY ESPN.